NBC has unveiled its Winter 2019 schedule and revealed the hotly anticipated return date of Brooklyn Nine-Nine. The sixth season of Brooklyn Nine-Nine will premiere Thursday, January 10 at 9/8c on NBC. The show will initially be followed by The Good Place, also created by Mike Schur, which will air at 9:30/7:30c until its season finale on January 24. Brooklyn will then be followed by Will & Grace, now in its tenth season after it was revived last year. NBC, whose studio arm produces Brooklyn Nine-Nine, stepped in to save the show after it was cancelled by the FOX network. 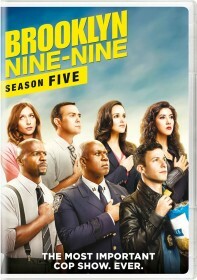 NBC initially ordered thirteen episodes of Brooklyn Nine-Nine but later upped its order to eighteen episodes. Fans worried that the January premiere would mean there's no Halloween Heist this year have reason to be hopeful after a tweet by Melissa Fumero.